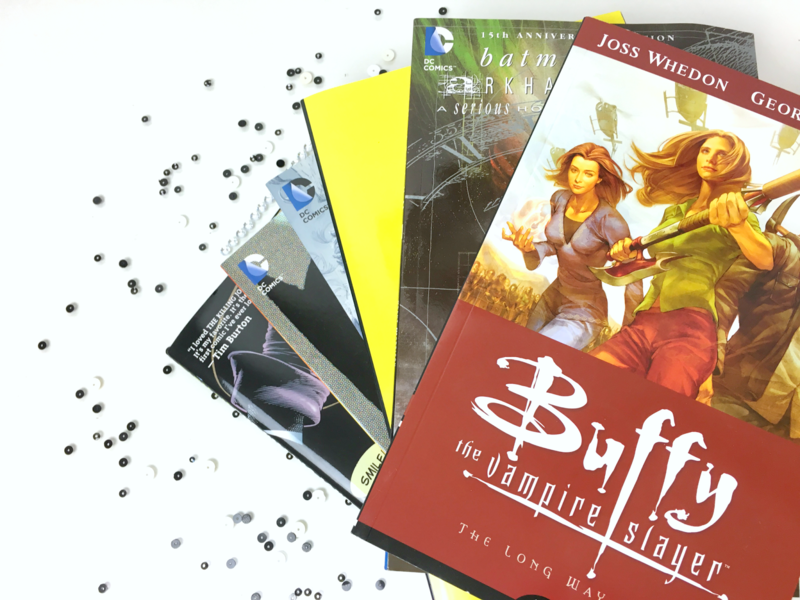 Continuing on from series 7, the Buffy the Vampire Slayer comics are based around Buffy, a young woman with supernatural powers who has been chosen to fight vampires and demons. I don't want to give away any spoilers but I recommend watching the TV series first if you haven't already. Long Way Home continues right on from season 7 and this is certainly an easy read and the plot stays true to the characters even if they aren't on the big screen anymore. Batman: The Killing Joke is one of the first graphic novels that I ever read. 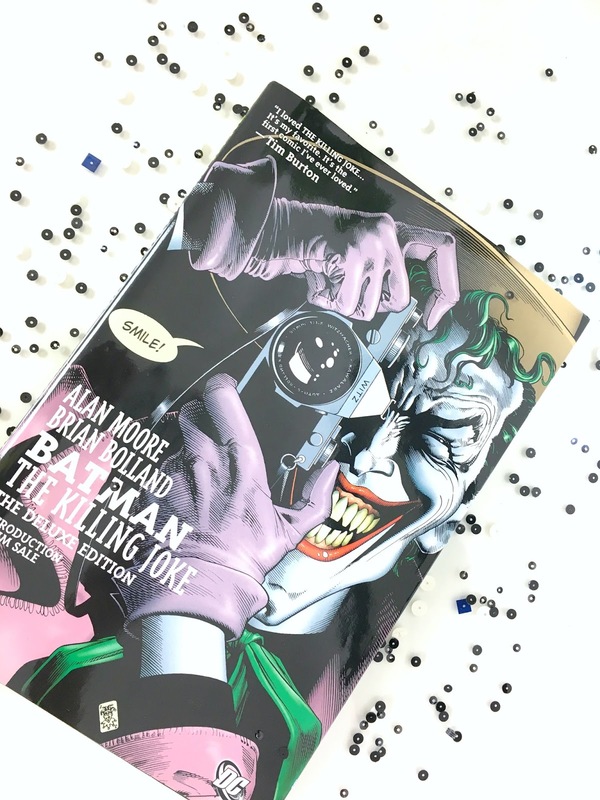 Tim Burton (director the 1989 Batman movie), had his quote printed of the front cover stating: "I loved The Killing Joke...it's my favourite. It's the first comic I've ever loved." If you want to start getting into comics, then I really recommend you start here. The story is based around the Joker and it touches on his origins before he became a super villain and follows the Joker's theory that someone can fall apart and become destructive from "just one bad day." I think the graphics are incredible and the story is pretty amazing. Earlier this year Warner Brothers actually released the film, you can find the DVD here. The illustrations in this graphic novel have always stuck with me, I find them incredibly beautiful and haunting at the same time. Another Batman based comic; this story was written by Grant Morrison and illustrated by Dave McKean. It is April Fools day and the inmates of Arkham Asylum have taken over, Batman enters the building and faces popular villains while also fighting his own personal demons and worries. I have always been obsessed with the illustrations and I am clearly obsessed with Batman graphic novels! We all know I'm Batman mad so I thought I would include a different type of superhero comic in here. I present to you: Watchmen. I recently featured the film on my Netflix superhero playlist here, but the graphic novel is certainly praised more for some reason. Created by Alan Moore, (the same author of The Killing Joke), the comic version of Watchmen is slightly different to the movie. I don't want to give any spoilers away but if you want a big, chunky comic to sink your teeth into - Watchmen is a pretty good start. Personally, I think you get deeper character history by reading the comic and overall, you get to see superheroes in a darker light from start to finish. Great post !! Nice and effective essay service blog post. The content is too short but effective. I love the information you share here. Its an well written blog post by you. This is awesome blog post.